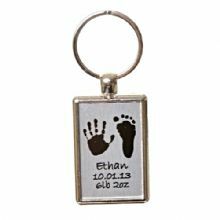 We have one of the largest collections of baby hand and foot print keepsakes in the UK. 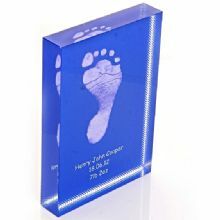 Our keepsakes all contain your own child's prints and we provide a no mess kit for you to take the prints at no extra charge. Our range includes keyrings, glass tiles, crystal blocks, mugs, jewellery and ceramic tiles. We also supply baby print gift packs which are perfect for baby showers, staff members off on maternity leave and new parent gifts. 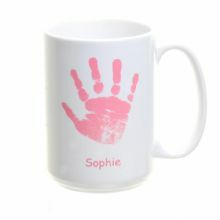 Our gift packs also make a unique personalised Christening gift. 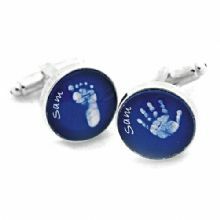 Parents can take the prints on the Christening day as a keepsake from their special day. Although the finished items are great for a number of occasions, they are particularly popular for Mother's Day, Father's Day and Christmas gifts.